Railpictures.ca - Michael Delic Photo: A late running 133 crawls over Cherrywood, preparing for a meet with train 608. The sights in this area are quite spectacular due to the ice storm. 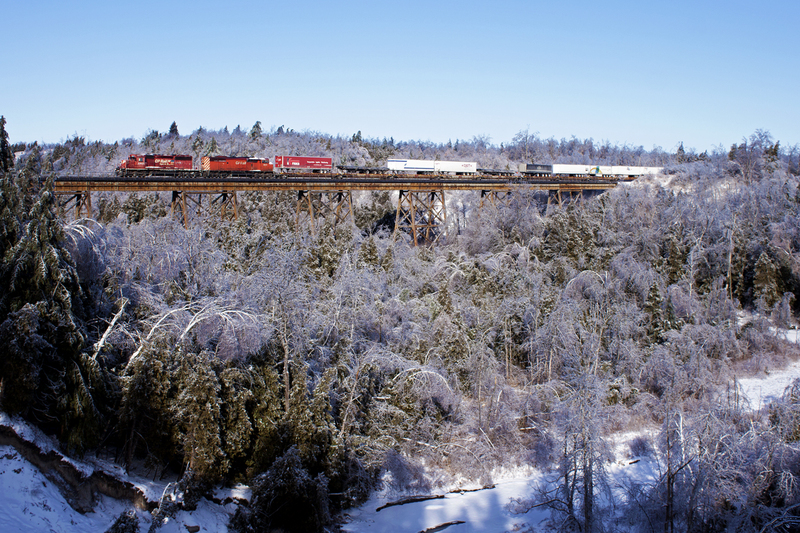 | Railpictures.ca – Canadian Railway Photography – photographie ferroviaire Canadienne. Copyright Notice: This image ©Michael Delic all rights reserved. Caption: A late running 133 crawls over Cherrywood, preparing for a meet with train 608. The sights in this area are quite spectacular due to the ice storm. This video must have been at the same time..